If you need help choosing a rifle cartridge, you’ve come to the right place. In this article we will help you choose the best rifle cartridge for you. If you had to choose one cartridge to shoot for the rest of your life, most of us could narrow it down to at least one or two. But when there are so many options before us these days, it can be an agonizing internal debate trying to pick one cartridge over another for our next project. What is The Best Rifle Cartridge for My Gun? Could it be that the easy answer is right before your eyes? One of the first criteria that we evaluate is the intended use, if we plan on deer hunting for example, then we can eliminate some of the larger magnums, as well as lightweight varmint cartridges. If we intend on competitive shooting, then we would be wise to select from the already refined pool of serious competition cartridges that offer advantages such as; superior external ballistics, controllable recoil, and available in volumes and at prices we can afford. Perhaps Extended Long Range (ELR) is more your preference, and a larger cartridge like a 300 or 338 is in your sights. Again, there are many popular cartridges that will fit that bill. You can evaluate several of them, and consider factors such as barrel life, recoil, barrel twist, and component cost and availability. Be it 6mm, 6.5mm, 7mm, 30 caliber or any other, there are great reasons to pick one over another, you just need to find the best reason that applies to your shooting. And even then, which 6mm for example? You could go with a modest and economical 6XC, or maybe a 6X47L. 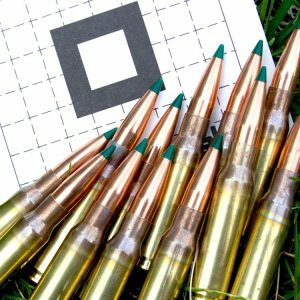 The new 6mm Creedmoor from Hornady has some great benefits and options, or perhaps you want to just go with a traditional .243 or 6mm Remington. All these cartridges share the 6mm/.243 bore and bullet selection, but the differing cases offer different advantages such as cheap and easy to find brass. Some of them offer better high quality brass, and the barrel life can vary greatly depending on which one you choose. Community input is very helpful when choosing a cartridge. See what others are doing and using. Local shooting groups are a great resource, easily located in social media. 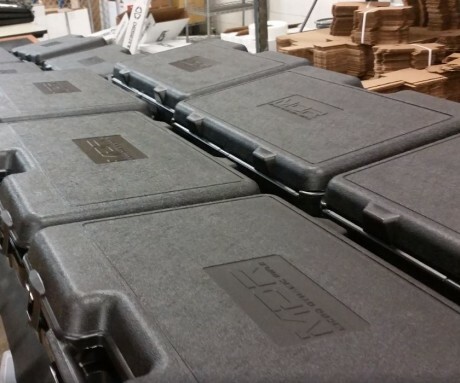 In them you can find out what people are getting the best performance with. Even if you don’t take the same route as others, you can use their input as a benchmark. Spend some time looking at the cartridge and bullets used with success by those doing what you want to do, and apply what you see to your own practice. If you are lucky, you can wrap up all your activities into one do-it-all cartridge. 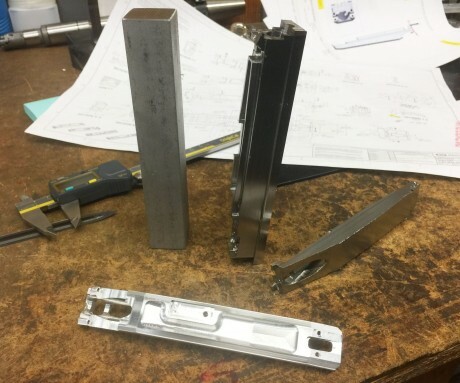 For those who have chosen to use the multi caliber systems offered by Desert Tech, this is a double-edged sword. Simply because we are not limited to our choices of cartridges, because a barrel swap can be done in moments, but difficult because now instead of choosing one caliber, we now have two or more choices to make. I choose to look at this in a positive light. 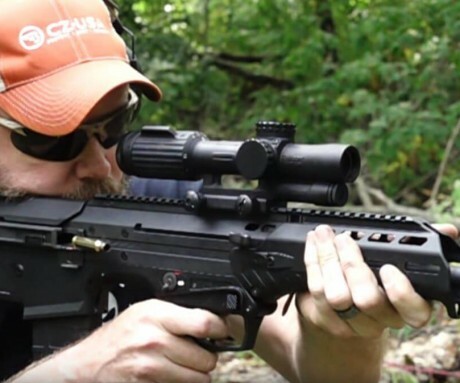 Multi caliber means that we can choose an inexpensive and light caliber for one activity, and perhaps a heavy and devastating caliber to compliment it. Both of which can be used in the same rifle, with the same trigger pull, and optic. Once you have decided the intended use of your rifle, you can then pick calibers suitable for them. With so many options, it can be daunting and exciting at the same time. I like to start with cartridges with a proven history of performance. There are always hot ticket and fashionable cartridges that come and go. The 6.5/284 was and still is a popular wildcat cartridge, though it has been eclipsed by the 6.5SAUM. There are many advantages to some of these choices, though they sometimes come with a cost. For example, the Weatherby 30-378 goes for a king’s ransom at $158.00 per 20, but does it really do anything that the 300WinMag won’t do for a third of the price? There is wisdom and experience however with traditional and mainstream choices. 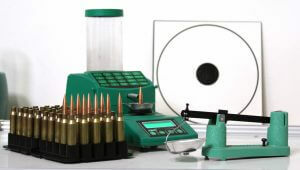 In addition to the abundant availability of these more common cartridges, there is plenty of information about their performance which could help you in your quest for perfection. And don’t rule out that significant technological advances in powders and bullets have given new life to cartridges once relegated to antiquity. Another decision factor is whether you intend to reload your ammunition. Some cartridges are best left to reloaders, while others enjoy diverse and very affordable factory ammunition options. This could mean the difference between two similar but different cartridges. 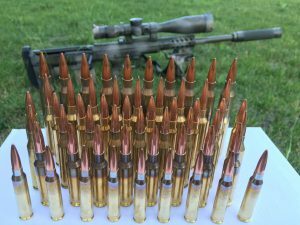 For example, the .260 Remington and the 6.5 Creedmoor are almost equals, but if you intend to buy ammunition, the Creedmoor is the better choice due to the high volume of factory ammunition choices. 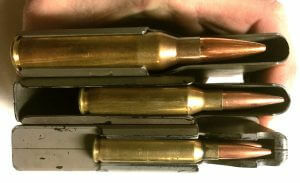 Whereas if you intend to reload, the .260 could give you an edge over the Creedmoor with customization and more velocity. This leads right into my final criteria, which is cost. Many people want to shoot large and venerable cartridges, but not many want to pay the price of some of them. So while the 338Lapua Magnum might be at the top of your long range fancy list, you’d be surprised at how many more affordable smaller cartridges there are like the 300NM, 7LRM, 7REM, or 7SAUM. Many of them that can get you to the same distances as the 338, but without leaving you destitute. So don’t be afraid of looking into some of those less costly calibers that will still fill your need. Once you’ve taken the time to evaluate these many characteristics, there should at least be a couple options floating to the top of your choice list. At this point it could simply be preference, or some other simple reason that swings you toward one over another. The best news of all, is that there are few bad choices anymore, so good luck.